Isabel has a degree in social work and community development and has been working as a program director for a women’s association in Sololá, Guatemala for the past several years. Isabel has more than a decade of experience accompanying and assessing women’s groups with a focus on gender equity and overall well-being of communities. 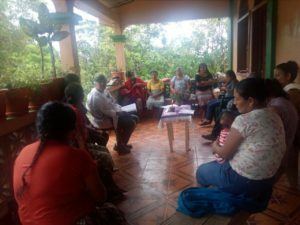 These are her reflections after visiting ESPERA women in Guatemala with Gilda, ESPERA Team Lead. In 2017, I met Gilda, a wonderful woman who works for Mary’s Pence. I admire her dedication to the women of Central America, and particularly the Mayan women in Guatemala. 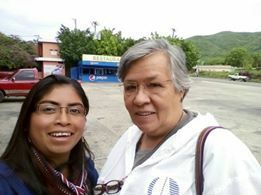 I met her when I was working as the director of an association in Sololá. Thanks to technology, we’ve stayed in touch. This is my experience traveling with Gilda to visit ESPERA women in a remote village in northern Guatemala. During our trip from the capital city to Coban Alta Verapaz, I saw the difficulty of living in a town as inaccessible as Qeqchi. The residents’ economy is based primarily on subsistence farming. The infrastructure of their homes is precarious on the steep mountain slopes. 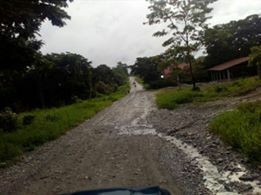 A road is under construction across the northern area. However it has been a major project that has displaced families from their land, and only really benefits transnational businesses that are transporting goods. It took six and a half hours to arrive at the northern bus terminal. We visited the community of Playa Grande Ixcan next. It was a five hour journey in extreme heat, and the road was in bad condition. But it was interesting to get to know the context of the community. The state has discriminated against Mayans by excluding their towns from access to basic services needed to have a dignified life. There is much work to do with the people to reclaim their rights, yet there is less presence of international organizations because the communities are less accessible. I applaud Gilda’s work and her commitment to traveling hours upon hours from Mexico to go to the communities that are the most out of the way and forgotten in Guatemala to encourage and work with the women on increasing their economic status. 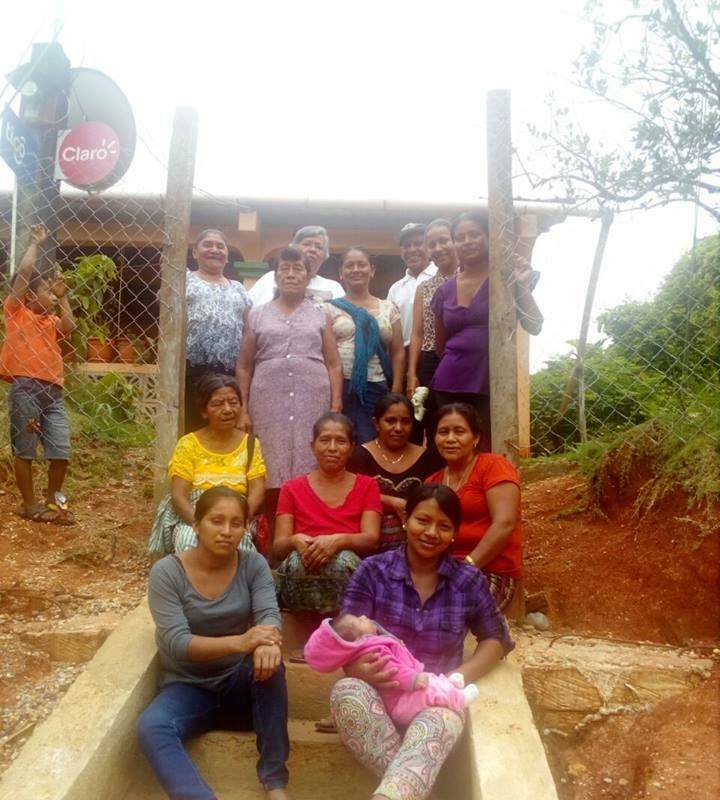 On the following day we began the journey to the community of Virginia in northern Guatemala to visit the group of women with loans from the ESPERA community lending pools. The group has 11 women and one man, and they’ve been working together for nine years. The amount of money that each person has received in loans has been between one thousand quetzals (approx. $130) to three thousand (approx. $400) and they’ve had the loans for about a year. The women are very active. You can tell they are committed to their businesses. This opportunity has allowed them to recognize their capacity to manage and invest their resources. Most of the women have invested in growing crops (sweet potato, corn, coconut, various types of lettuce, peanuts), or raising chickens or pigs. Others have invested in small shops selling convenience items. They are already seeing the payoff of one year and know that as time goes on they will be able to reinvest and diversify their products. The women want to continue with the program, because they have seen the benefit they have achieved, and the significant support it has provided to their families. Participation is this group is important for the women, even the three who don’t currently have active loans. They still participate to share their experiences with their peers and to acquire new knowledge. The women are at ease with Gilda and with Mary’s Pence. The trust and cooperation between them is easily apparent. Thanks to Gilda for her invitation to visit the community of Virginia with her, and to see the context in which these women are surviving, and now have the possibility of thriving. In spite of the difficulties facing them, the ESPERA women continue with hope and enthusiasm to continue working for a life with dignity.